Authors are solicited to contribute original, unpublished contributions in all aspects of computational intelligence and intelligent systems. Submitted articles must not be concurrently considered elsewhere for publication. Made submissions on-line from the online submission system . You will need an account to log in the system. Authors are solicited to contribute original, unpublished contributions in all aspects of computational intelligence. We look forward to welcoming you at Bangkok, Thailand during November 23-25, 2019. 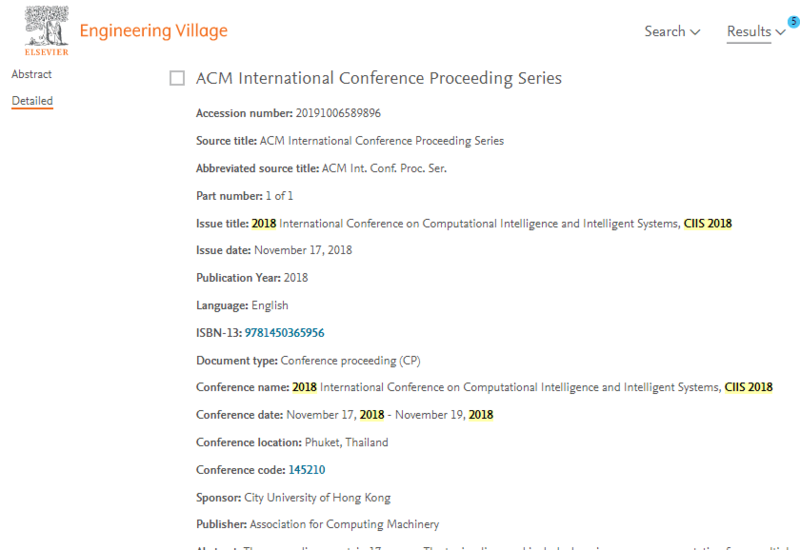 The conference proceedings of 2018 has been published in ACM conference proceedings (978-1-4503-6595-6). Successfully online (Click), EI Compendex and SCOPUS. Prof. Sergei Gorlatch from University of Muenster, Germany.